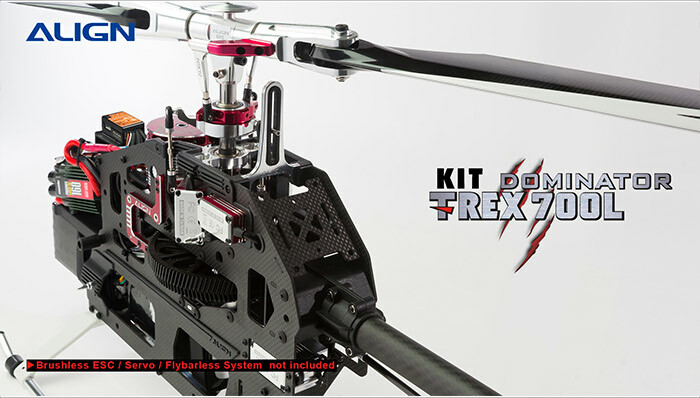 Introducing the highly anticipated, most innovative, brand new T-REX 700L Dominator TOP! 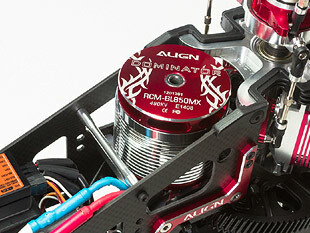 With fully mighty power energy of the 850MX(490KV) motor for unparalleled power output. 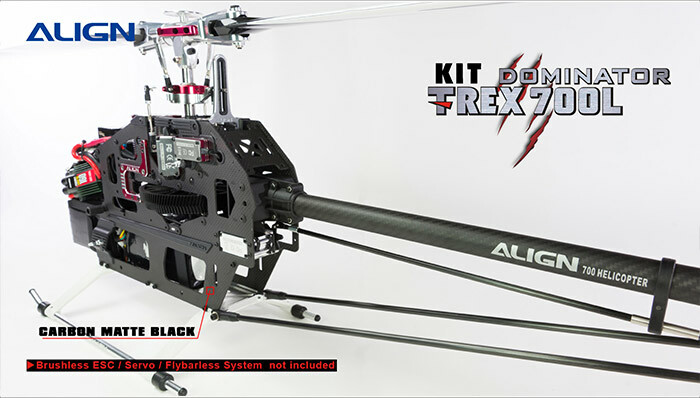 Newly outstanding material and superior design concept are all in one, the elaborate matt black carbon fiber structure, stunning red DFC rotor head set, anti-rotation bracket, and torque tube drive gear set and so on, dramatically enhance model strength and esthetics all at once. 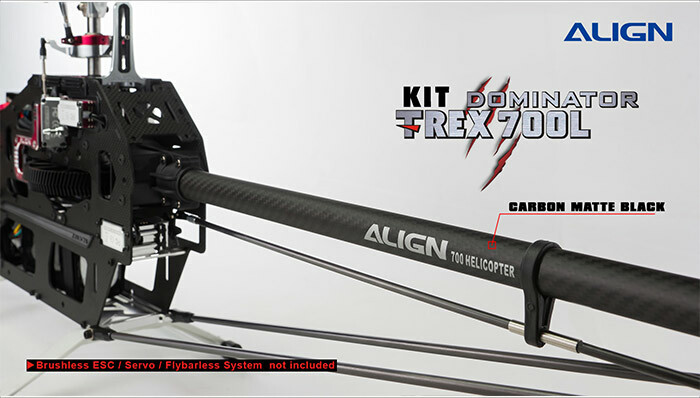 Align's T-Rex 700L TOP Dominator, with stability and power exceeding all past expectations. 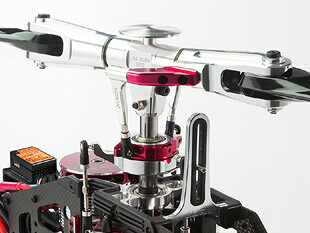 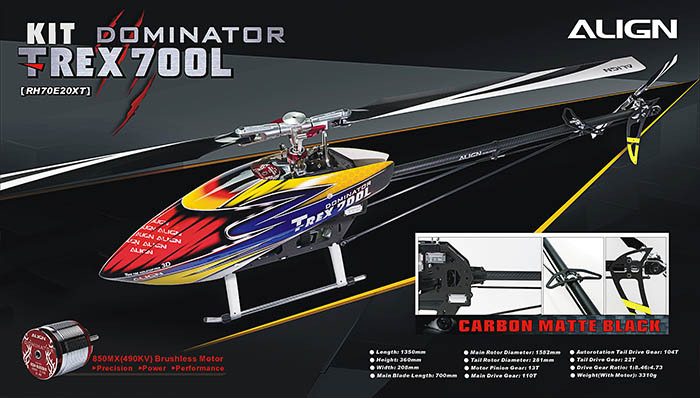 The superior control feel, and attractive look, the T-Rex 700L TOP Dominator is the best choice for any enthusiasts! 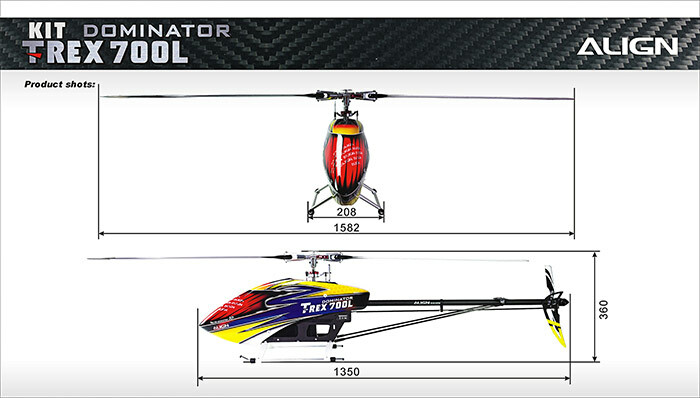 850MX inherit from the previous 800MXs feature, high efficiency, superior power, excellent torque, low current draw and low temperature. 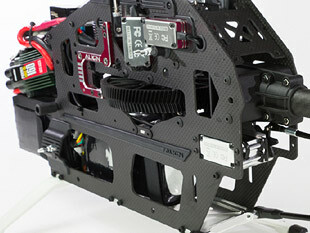 It's capable of maintaining much more consistent torque and head speed through continuous 3D maneuvers, which is particularly special design for 3D flights. 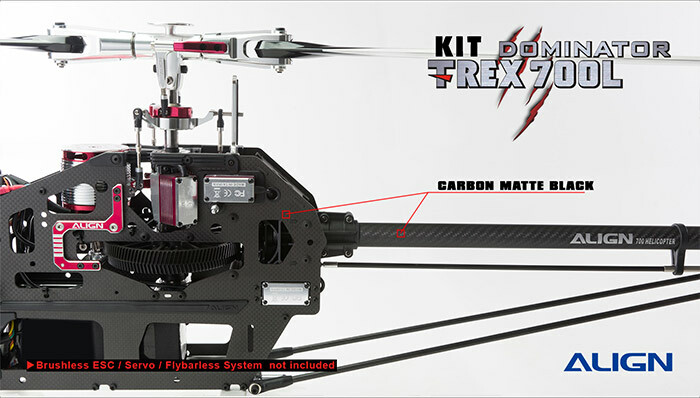 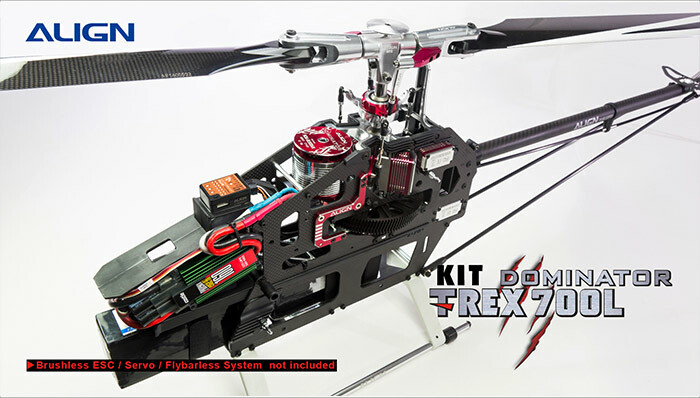 T-REX 700L TOP with newly elaborate matt black carbon fiber material on main frame and tail boom, bring much more stylish and delightful presentation than others. 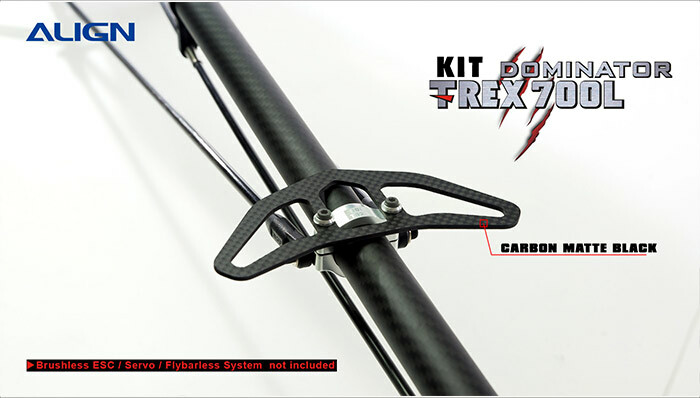 Brand new frame reinforcement plates and blocks effectively improves frame's anti-torsion ability. 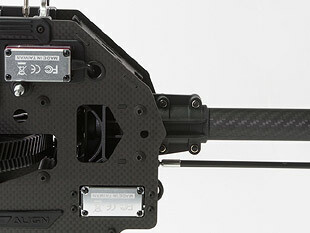 The improvement in frame rigidity and solidness is especially evident during extreme 3D maneuvers. 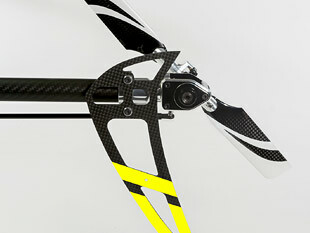 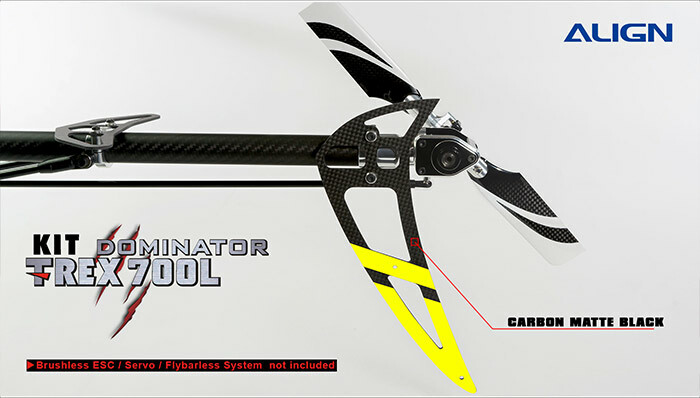 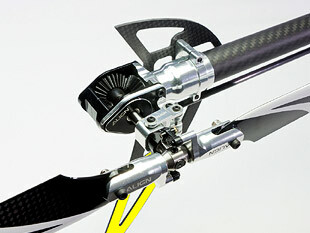 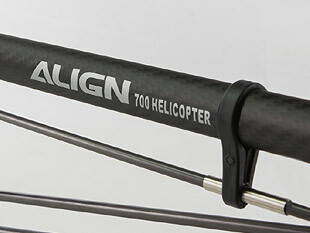 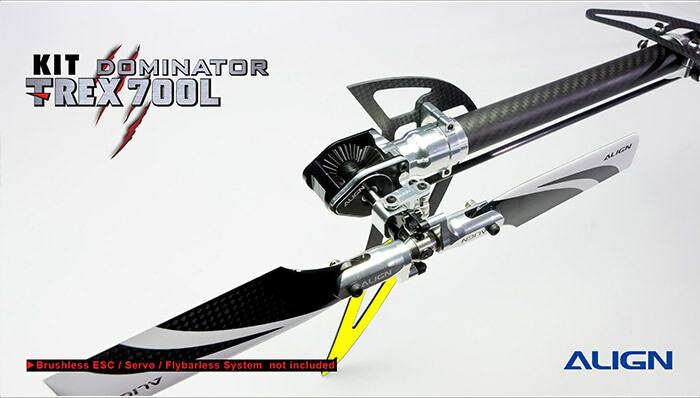 Brand new matting carbon tailboom using carbon fiber and aluminum imbedded technology, features light weight and high strength, its unique matting carbon color coupled with whole helicopter, definitely let your helicopter outstanding in the flying field.